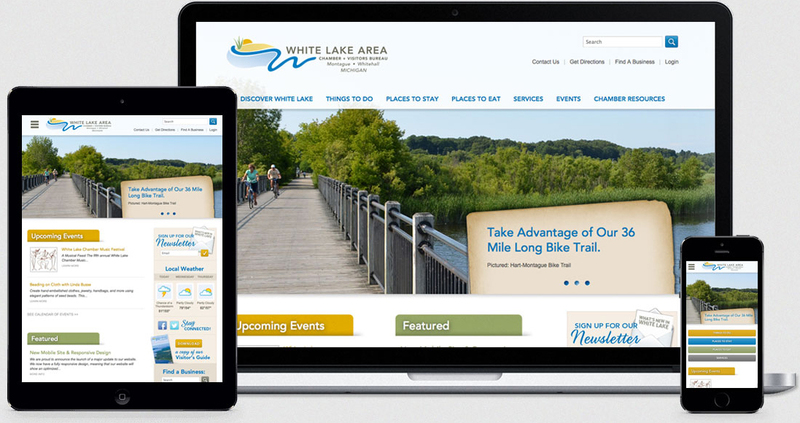 The White Lake Chamber of Commerce + Visitor’s Bureau, of Whitehall, Michigan came to Envigor to refresh their brand, which included a redesign of their logo as well as a new, fully responsive website, optimized for all devices. Among the key features of the website are a business directory, a custom member system with the ability for each member to manage their profile, and a GPS sorted search when using mobile devices. 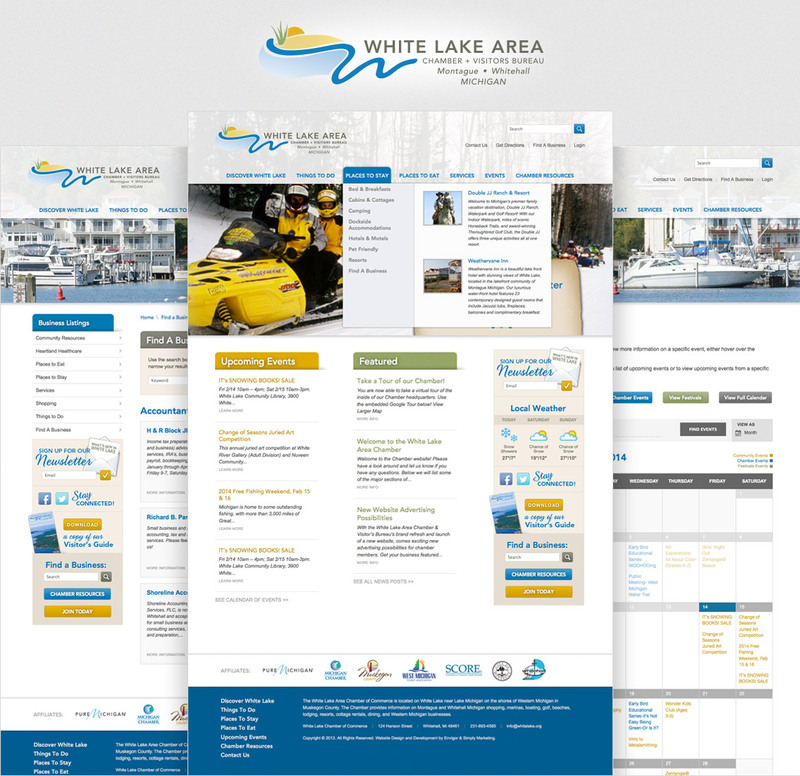 Envigor has also created various print ads for the White Lake Chamber of Commerce + Visitor’s Bureau to be featured in local and regional tourist and travel guides. 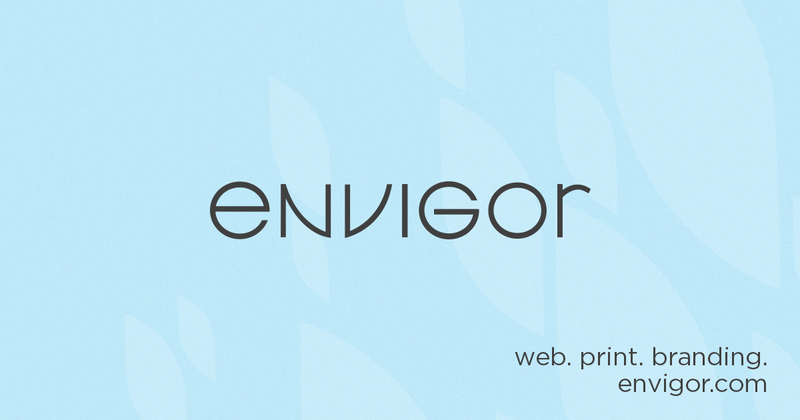 "The White Lake Area Chamber of Commerce highly recommends Envigor! It has been a great experience working with Andy and Amanda as they designed and created our new logo and website design. They listened to what we needed in a site and have responded in a timely manner to complete the project. We are very proud of our beautiful web site plus it is user friendly for our members, community and visitors. They are both very communicative, patient, innovative and professional. We enjoy having a continued working relationship with them still today!"